Parrelli Optical has the right professionals to examine your eyes and recommend the most appropriate contact lenses in Cambridge, MA so that you can finally throw your glasses away. Even if you are severely nearsighted, farsighted or need bifocals, you are a candidate for contact lenses from Parrelli Optical. Some people have worn contact lenses in the past but are currently unable to because their eyes are now intolerant. 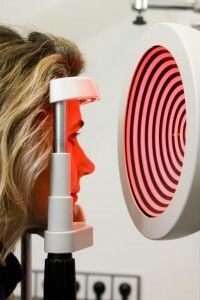 Others had difficult issues to treat, or it was impossible to fit a lens that corrected all of their problems. Ophthalmologists often declined to fit children for contact lenses because of the concern that they wouldn’t care for their lenses properly. All of these concerns are a thing of the past at Parrelli Optical. Intolerance will be a thing of the past if you purchase your contact lenses from Parrelli Optical. Our professionals have the experience necessary to offer you the correct lenses so that your eyes will remain healthy for years. If you are wary of having your children fit for contact lenses, you can rest assured knowing that we have the latest technology for them. The lenses we recommend for our young patients are used only for one day. The professionals at Parrelli Optical are experienced in fitting contact lenses for Cambridge, MA customers and look forward to your visit!